Forensic scientist John Lentini says he was as surprised as anyone at the Lime Street burn, a videotaped inferno that ultimately forced arson experts to abandon a set of flawed guidelines they had relied on for decades. Lime Street was a test conducted on behalf of the prosecution in a 1990 Florida murder case. Lentini, an expert on arson, had been called in because the circumstantial evidence against defendant Gerald Lewis was weak, even though the forensic evidence seemed solid. Arson investigators had said, for example, that the living room would have required 15 to 20 minutes to reach “flashover”—the point when the room explodes from the heat—not the 3 to 5 minutes Lewis had reported. A sofa cushion should smolder, not combust, the experts said, and the scorched trail down the hallway floor was the “classic” signature of liquid accelerant. Before taking the case to trial, the prosecutor wanted to know: How reliable were those expert opinions? The living room went to flashover in 4-1/2 minutes, only 60 – 90 seconds after we surmised it would have been necessary to evacuate the living room… There were firemen in the hallway outside the living room breathing fresh air only fifteen seconds before the fire flashed over and extended into the hallway. The hallway floor was scorched, and the smoke travelled with the fire, “consistent with the low carbon monoxide levels found in the victims,” Lentini later wrote. Gerald Lewis was cleared, and researchers started conducting controlled scientific tests to understand burn patterns and flashover conditions. The change took time, though. For the moving story of a man executed before the new understanding could derail his death sentence, see David Grann’s New Yorker piece about Cameron Todd Willingham. This is the frame of mind which leads to wrongful convictions. Every one of us would agree that, in the American system of justice, a defendant is innocent until proven guilty. Agreement would be less widespread, however, to the proposition that every fire is accidental until proven incendiary. In fact, the presumption of innocence of an individual and the presumption of accidental origin of a fire are exactly equivalent. If this fire was set, the suspect set it. All the State needed to do was prove beyond a reasonable doubt that this was an intentionally set fire, and they would have proven beyond a reasonable doubt that the suspect was guilty. 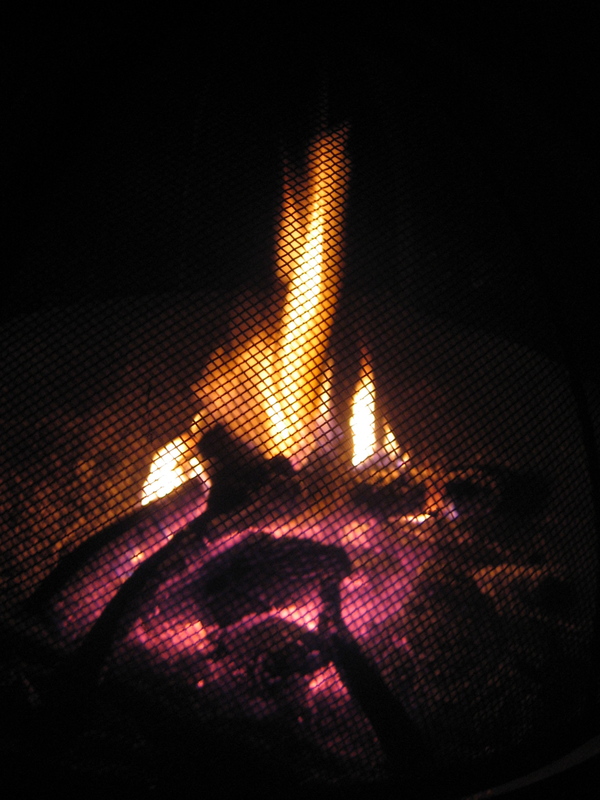 Traditional theories about how fires burn had been developed over generations by firefighters who’d observed thousands of fire scenes. It wasn’t quantifiable theory, more a set of beliefs rooted in experience. But it carried the weight of fact. And as with any tradition in the close fraternity of firefighters, it was honored for the very fact that it represented the wisdom of veterans. The interpretive nature of forensic pathology—both in evaluating the findings made at the autopsy and determining what, if any, conclusions can be drawn from them—reinforces the limitations of the science. Even when the controversy does not divide the forensic pathology community, there are diagnostic challenges that limit what a forensic pathologist can reasonably say about an individual case, and the level of confidence or certainty with which he or she can say it. The interpretive nature of fire investigation—both in evaluating the findings made at the fire scene and determining what, if any, conclusions can be drawn from them—reinforces the limitations of the science. Even when the controversy does not divide the fire investigation community, there are diagnostic challenges that limit what a fire investigator can reasonably say about an individual case, and the level of confidence or certainty with which he or she can say it. Most forensic investigation looks at the question of “Who did it?” Lentini points out, but fire investigators and child-abuse physicians are both trying to answer the question, “Was a crime even committed?” Unfortunately, he adds, the doctors are still relying on faith, not science. Although his specialty is arson, Lentini was also trained in microscopic hair comparison while working at the Georgia Bureau of Investigation Crime Lab. “I was terrible at it,” he recalls, “The samples all looked the same to me.” He never incorporated that training into his work, which is probably a good thing, because the techniques he was being taught have failed the test of time. Just this week, for example, a judge in Washington, D.C. acknowledged that DNA testing has exonerated 50-year-old Kevin Martin, who spent 26 years in prison for murder after an FBI visual analysis incorrectly matched him to a hair collected at the crime scene. Martin’s case is only the most recent refutation of hair evidence from that era: The 2012 Innocence Network Journalism Award went to Washington Post reporter Spencer S. Hsu for his series about the unraveling of the subjective and statistically flawed techniques. In a posting earlier this week about the FBI’s hair-matching cases, Nancy Petro at the Wrongful Convictions Blog observed that “these miscarriages were prompted by an unjustifiable trust in unreliable science presented by a highly credible source.” Again, I am struck by the parallels with the shaken baby arena: The “highly credible source” for the microscopic hair analysis was the FBI. The “highly credible source” for the shaken baby testimony is the American Academy of Pediatrics. We want both of those institutions to always be right, but sometimes they’re wrong. Fire investigators have now adopted scientifically established criteria, and DNA testing has replaced visual hair analysis in court, although the criminal justice system has not yet caught up with either development (see, for example, Martin Yant’s commentary on the Wrongful Convictions Blog). I do have faith that the truth will ultimately prevail in the shaken baby arena, but I am discouraged at how slow the change is in coming. For a review of the dramatic changes in arson science in the past two decades, see Phil Locke’s treatment on the Wrongful Convictions Blog. In SBS cases where the prosecutor and supporting cast of experts know full well the science is faulty, the stakes are high in ensuring the *appearance* is that of proven science. Their funding of child protection is dependant on this. You will not find prosecutors willingly employing tests that have such huge rick of debunking the theories while the court watches. In the case of the fire prosecutor, at least the test of the theory was not fought tooth and mail, and by golly, that “proven” theory was debunked for the benefit of all who follow. Wow. Thank you, Jeremy. That was astonishing. I especially liked the part where there’s an explosion with screen jiggle, and then they decide to move the tripod back. Our instincts are apparently not great about these things. And God bless this SBS blog for bringing to light the terrible tragedies of the misdiagnosed parents and caregivers and, for diligence and persistence in the face of the unyielding lethargy of the ”judicial brotherhood” of county owned judges and prosecutors. It’s no wonder these so-called SBS cases are considered a ”slam-dunk” feather in the cap of ambitious ADA’s. It’s an easy cop-out (no pun intended) to accuse an adult of harming an infant and patently unnecessary to prove it ”beyond reasonable doubt”. And our media outlets feed on the inflammatory accusatory allegations, trying the case in the ”court of public opinion” substantially ahead of any discovery of possible malpractice, botched procedures or other mitigating circumstances. Bless you Sue Luttner for your courage on our behalf. Thank you for your kind words, Mr. Yerger. I am sorry this tragic tangle of human fallibility has brought you so much personal grief. My best wishes to you, your son, and his family. I hope it helps to know there is a community of people who understand how an innocent person can be in this position. Even in the face of overwhelming forensic evidence to the contrary, Prosecution wants that ”win”. The truth be damned. If convicted and, with his savings, his home and his family gone, he can’t even begin to mount an effective appeal. I want my son and his family ”whole” again and healed. Any prosecutor with integrity would be able to comprehend the flawed, disavowed ”non-science” of SBS and look at the possibility that she may not have been right. God bless the Innocence Project and the like for valiantly bringing awareness to the prosecutorial community and the presiding judges who instruct the juries in these type cases. Prayers for their enlightenment. Goes to show what once was “absolute” no longer is. I just wonder how long it will take in cases of SBS. I miss my daughter and want her home sooner than later.